The Sample Set balances oily skin, minimizes pores and reduces redness. Get smooth, balanced skin with this complete routine. 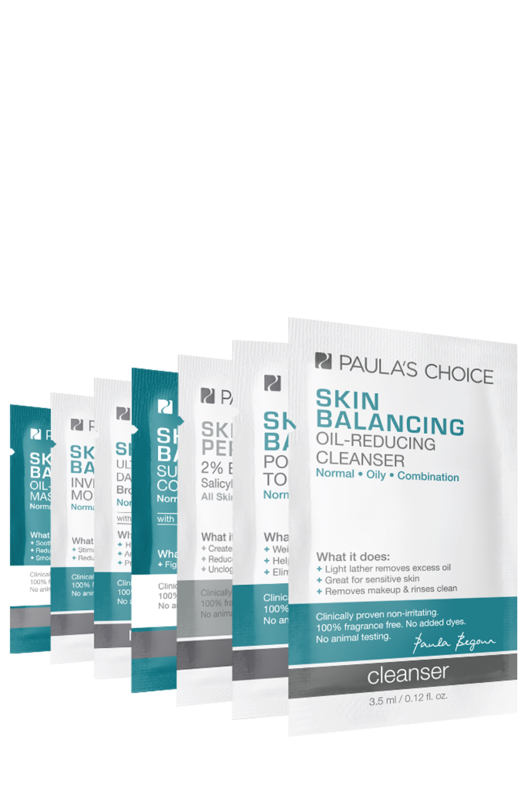 The Skin Balancing Sample Set contains products that refine pore size, reduce oily shine and minimise signs of ageing. Skin will be smooth, clear and balanced. First apply the cleanser, followed by the toner. Next, apply the leave-on exfoliant followed by the serum. Once absorbed, apply the moisturiser with SPF as part of your daytime routine or the nighttime moisturiser as part of your evening routine.